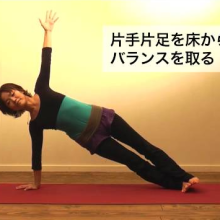 This yoga video shows yoga poses that takes care of your knee pain and lower back pain. 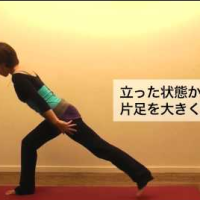 These yoga exercises help to treat knee injuries, leg pain, joint pain and back pain. Iyengar Yoga has various kinds of yoga workout and lower back exercises that helps to give stronger knee support. Follow these yoga instructions carefully to get rid of your knee pain, lower back pain and even the pain behind knee. Start off by standing in tadasana yoga asana. Bring your feet together, roll your shoulder together. 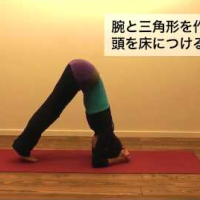 Lift your toes up, spread your toes on the floor so that you get a firm grip. Raise your right leg up, bring your right heel closer to your inner thigh. Raise your hands up and press the base of your palm together. Stand straight. Hold this position for 30 seconds. Slowly bring your hands back onto the waist, bring the foot down and change sides. Repeat. Stand in tadasana, feet parallel and bring both palms close to your chest. Bend both knees and jump both feet out. Palms on your waist, pull your knee caps up, bend and press your palms onto the floor. From here, lift your diaphragm, hold the ankles, look forward and drop your head down. Slowly bring your palms on the floor, look forward, palms on the waist, come up and jump back.